A Personal finance blog with topics to save money, earn money, personal loans, investing, career, escaping debt and building wealth. When we were new parents, my in-laws came over to this country to help us with everything. They came all the way from India. I was aware of their travel insurance needs. both are retired and do not have any health coverage outside their country. It was around $500 per person for the 4 months of their stay. You just can’t bear the medical cost in the USA without having an insurance. It’s so costly that travel insurance is needed for anyone who’s coming over for business, pleasure or work. Same is true for practically every travel, whether to the United States or from the United States. In parts unknown, you need this coverage to cover for unforeseen. Figuring out what to do after you retire can be exciting and, at times, stressful. For many, retirement brings the ability to pursue their hobbies with much greater flexibility, while others take the opportunity to just sit back and see where the wind blows them. For some, retirement means they now have the ability to travel the world, as they don’t need vacation days and don’t have other corporate responsibilities. One important thing that retirees should consider if they are going to be traveling during their golden years is travel insurance. While not everyone opts for travel insurance, it can be helpful for everyone, particularly with older people when you are more prone to illness or injury. Even when you’re young and working, having travel insurance can cover for the missed flights, last minute trip cancellation, medical emergency evacuation, etc. Travel insurance is highly variable, with a lot of different options for coverage depending on what you need. There are a lot of different kinds of travel insurance, so it is important to do some research to find out exactly what type of coverage will work best for you and for your specific travel plans. While talking directly to a travel insurance agent will yield you the most personalized information, here is a list of things you need to know for travel insurance after retirement to get you started. When you are traveling and in doubt to have a travel insurance, you should consider these points. Since older people tend to be more prone to illness and injury, insurance companies often assume that an older person purchasing travel insurance is more likely to cost them in medical-related emergencies either prior to or during travel. After you turn 50, travel insurance rates go up, with people older than 80 being the most expensive to insure. However, this increase in cost might be worth it in the long run, particularly if you already have medical conditions that would necessitate immediate treatment or hospitalization wherever you may be. Health insurance policy coverage is its own can of worms, which I won’t go into today, but suffices it to say, your health insurance policy may or may not cover you for specific situations when traveling abroad. Some policies, like Medicare and others, do not travel with you overseas, so having a supplemental policy in the form of travel insurance will help you should an illness or injury occur while you are abroad. Additionally, some health insurance policies will only cover life-or-death situations, while non-life-threatening illness or injury may not be covered. As an older traveler, understanding what coverage you have with your own health insurance may help you determine if additional travel insurance will be right for you. Last September we were hit by hurricane Irma. We had a room booked in Orlando, FL. But, due to the hurricane, we couldn’t go. Luckily I had taken travel insurance offered by the booking site (I use Priceline in this case). Within weeks I got the booking fee refund check. I had to fill-up an online refund form and that’s it. No questions were asked. Whenever you book flight or hotel, the sites do recommend you purchase a trip protection, which is nothing but a travel insurance. So even if you’re not old, next time you book a trip, do consider trip protection, if you have a slightest of a doubt on the trip. Just for a fraction of the booking price you’ll get some piece of mind. Most travel insurance can be purchased right up to the day before you embark on your journey. 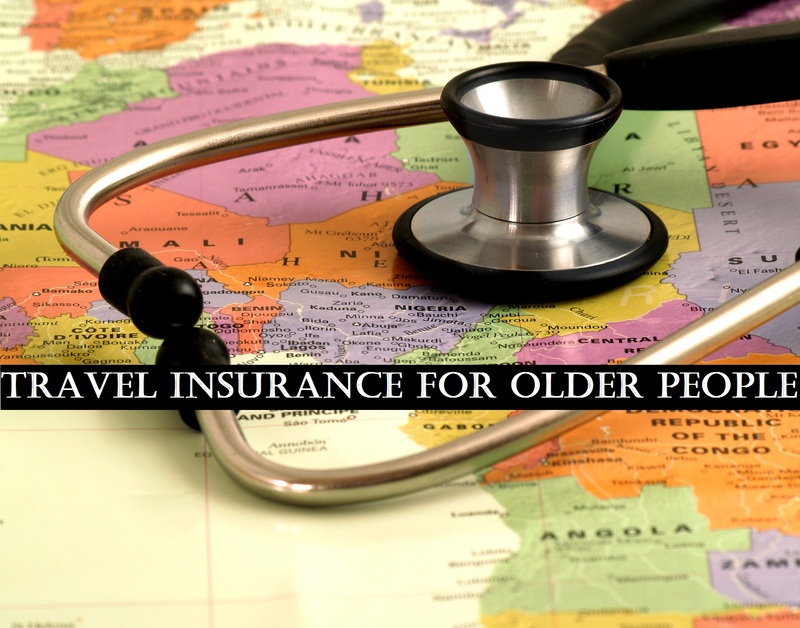 However, being an older person and at a higher risk for medical or other emergencies while abroad you should purchase your policy as soon as possible so that you may spend as much time as possible understanding what you are covered for and what you are not. There are basically 5 types of travel insurance. You need to carefully consider what is best suited for your risk level. Travel accident insurance – Are you going for a hike, a race or an area where travel advisory in effect? Then consider buying this insurance. Medical evacuation insurance – How is your health? Do you foresee you or your travel companions will have a need to be airlifted to a hospital? Then consider this insurance. A helicopter ride to a hospital may have a 5 figure expense. Trip protection insurance -Is your travel plan not finalized but you are able to find a cheap ticket? Consider buying this. Annual travel insurance – Do you travel a lot? Having entire year’s travel insurance need covered is a money saving approach. A combined package plan containing combinations of above insurance – Based on your need you can opt for any combination of the above options. Traveling after retirement is a real joy, and certainly, one that you should take advantage of if you are able. ut if you have a health risk then traveling brings its own set of risks that can be mitigated by purchasing travel insurance. Call an insurance provider to find out what coverage is best for your own unique situation. It is a concern when travelling that elderly parents back home may become ill or even die. Or that may happen before the trip takes place. Then the trip would have to be interrupted or not take place, so it is a good idea to have travel insurance, and then be glad if it is not needed. Actually any kind of an emergency may take place before or during a trip. I think it is a good idea to consider buying travel insurance for a year, as was mentioned, if one travels frequently. If you often travel, a travel insurance is always good protection for you and it is best if you also have health coverage with you. If you are traveling and are already a Medicare beneficiary, You might want to take the coverage with you by having a Medigap plan. There are certain types of Medigap plans that can travel with you because Medicare alone doesn’t. It is a good idea to have it with you, as we all know aging can affect us in our travels and might have an impact on our health. It is good to have something to rely even if you are outside your hometown.